James Weldon Lloyd (Age 75) passed away suddenly and peacefully of natural causes on July 28, 2015 in Paris, France. Jimmy was born in Florence, SC, the only child of O.W. and Margaret (Snoddy) Lloyd. He was raised in Edgefield, SC, and graduated from Clemson College in 1962. While he obtained a Masters degree in History from the University of Missouri, Clemson was Jimmy’s first love. He was a lifelong member of IPTAY and was proud to have been the Clemson Tiger mascot his senior year. He served in the Army for over 29 years as an Army Aviator, including two tours in Vietnam where he earned a Silver Star with “V” device for his actions during “Lamson 719.” Known as a teacher and leader, these traits were clearly demonstrated during his tours as Cobra Instructor Pilot, Commander, 2d Aviation Battalion (2d Infantry Division), Director, Directorate of Evaluation and Standardization (all Army aviation assets), U.S. Army Europe’s Aviation Officer, and Chief of Staff, 1st ROTC Region. 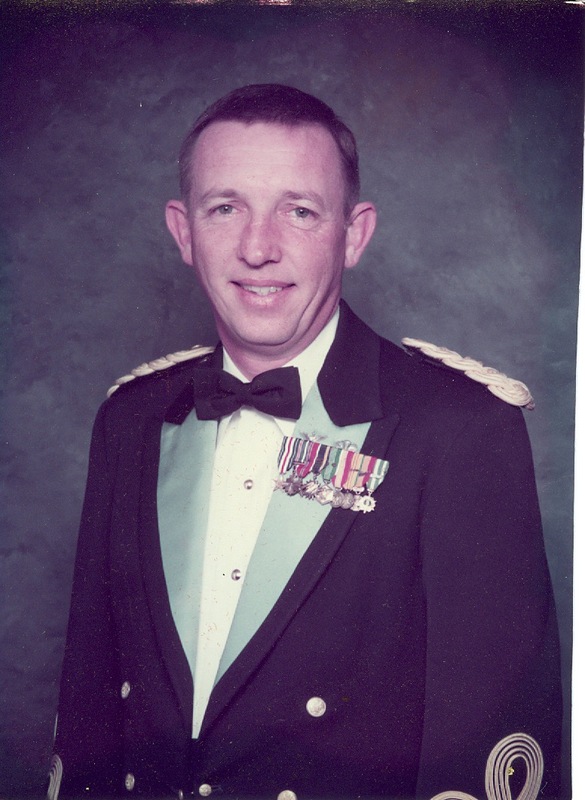 He was integral to the creation of the Aviation Branch in 1983 and was selected as the 1st Armored Division’s first Aviation Brigade commander (Iron Eagle 6). Jimmy was an enthusiastic sports fan. For over 50 years, he refereed/umpired football, basketball, baseball, softball, and volleyball. He was most proud of being selected 1996 Wiregrass Football Referee of the Year. He followed both Clemson football and baseball teams closely and made an annual trip to at least one game or series. Jim is survived by his loving wife of almost 36 years, Karen (also an Army aviator), four daughters: Jennifer Lloyd (Karen), Jill Stansell, Jan Ellis (Scott), and Julianna Mathis (Lee), four grandchildren, and one great-grandchild. Additional survivors include his favorite cousin, Luther Beason (Jane) of Edgefield, SC. He was enjoying a long planned family trip with his wife, sister-in-law, Carla Anderson, his nephew, Eric Ives, and nieces, Eva Ives, Anne Anderson, and Amanda Anderson, when he suddenly fell ill. In everything he did, including the simplest acts of his daily life, Jimmy inspired and led by example, with the utmost integrity, compassion, grace, courage, and humility. He was a true hero, greatly respected and much loved. He will be sorely missed by a long list of military and civilian friends and colleagues. The funeral service will take place on April 6, 2016 in the Old Post Chapel, Ft Myer, VA, followed by burial, with full military honors, at Arlington National Cemetery. Jimmy’s love for Clemson extended to his philanthropic efforts which included an annual scholarship designated for Clemson students through the Army Aviation Association of America Scholarship Foundation, Inc. (AAAASFI). In lieu of flowers, please consider donations to the James W. Lloyd Memorial Scholarship, AAAASFI, 593 Main Street, Monroe, CT 06468-2806. Courtesy of Edgefield Mercantile Funeral Home.